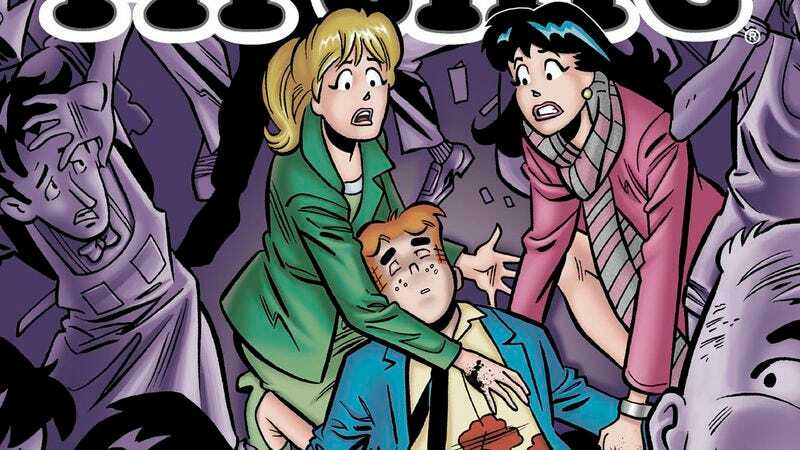 Fans of All-American wholesomeness will get a shock this summer, when comics staple Archie will finally end up with neither Betty nor Veronica, but rather the cold embrace of death. Archie Comics’ publisher has announced it will kill off its lead character in the July 16 issue of the long-running comic. Archie Comics CEO Jon Goldwater insists “it’s not about the attention-grab of the death, but about telling a great, evocative story that reminds people why this character is important.” In other words, it’s not an attention grab; more like a gentle reach. For attention.